After two reviews of books that had the potential to offend, here’s a completely user-friendly Hanukkah story. The only shortcoming is that it errs on the side of too bland. The kindness/neighborly love theme could have been set at any holiday, but happened to be set at Hanukkah. And while the book does come equipped with a latke recipe, it does not explain any aspect of Hanukkah, not its source, not the reasons behind the traditions, nothing. So why bother? Because it is a genuinely sweet tale of a girl who reaches out to her neighbor. When Rachel’s family runs short on potatoes for latkes, she dashes next door to borrow from Mrs. Greenberg. To thank the older woman, Rachel invites her to Hanukkah, but Mrs. Greenberg declines. This continues as Rachel needs to borrow more and more items for her family’s celebration and Mrs. Greenberg continues to stubbornly decline Rachel’s invitations. Rachel finally figures out how to out-stubborn Mrs. Greenberg, and of course, latkes are enjoyed by all. This is a simple and fairly quick read, which may be best enjoyed by younger children. It’s also good for classrooms where it may be safer to focus on how family’s celebrate holidays rather than on religion. 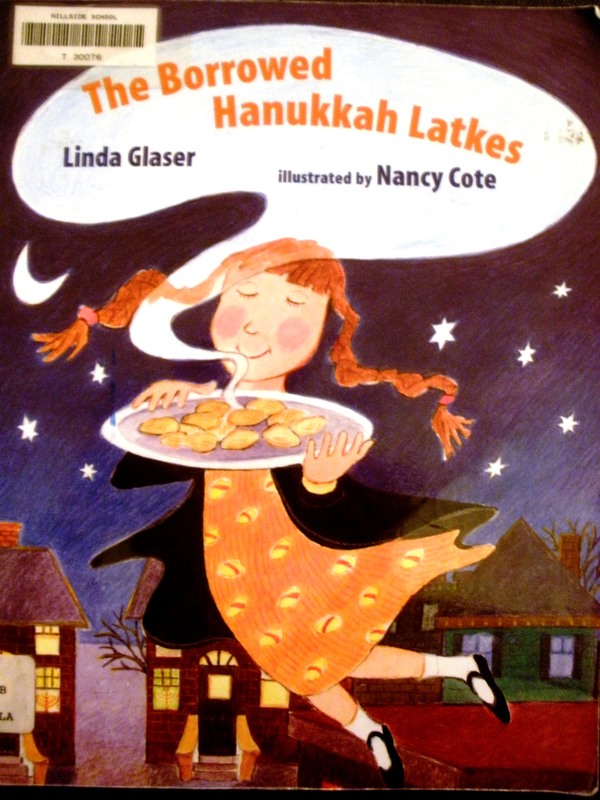 This entry was posted in Primary Grades and tagged hanukkah, jewish, picture book. Bookmark the permalink.